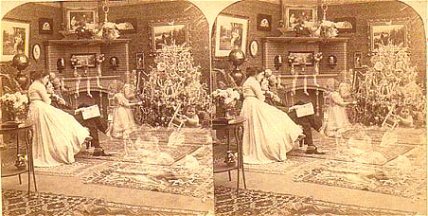 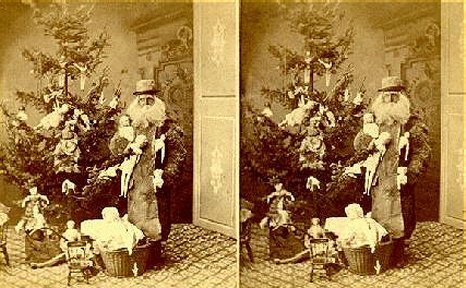 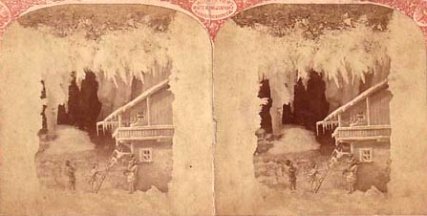 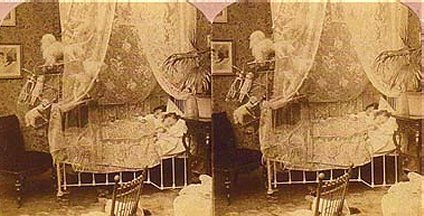 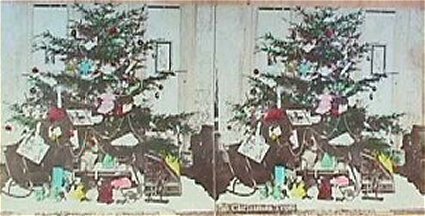 A stereogram or stereoview is a flat two-dimensional image viewed in such a fashion as to produce a three-dimensional effect..Stereographic photography was invented almost immediately after photography itself. 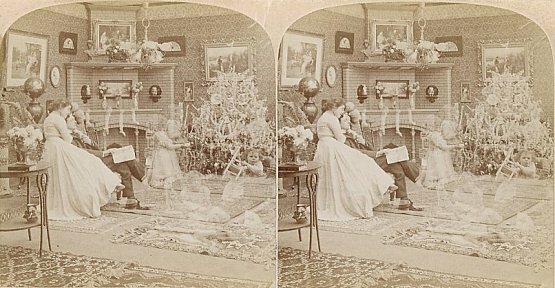 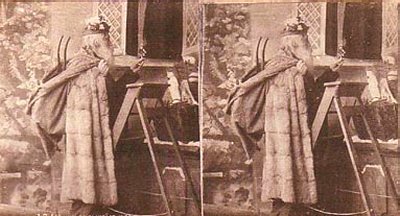 During the Victorian era photographers were sent out to photograph the world in 3D, and the photographs were reproduced over and over to meet the demand -- manufacturing and assembling the views was big business. 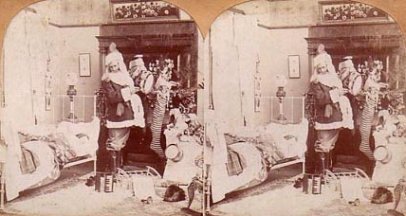 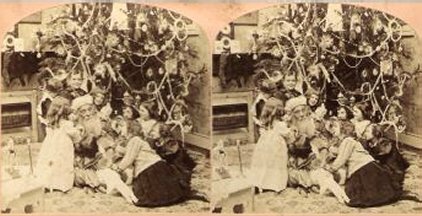 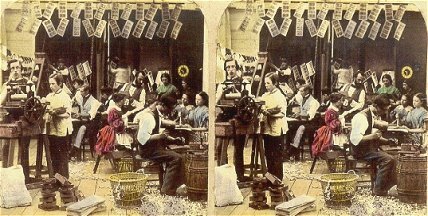 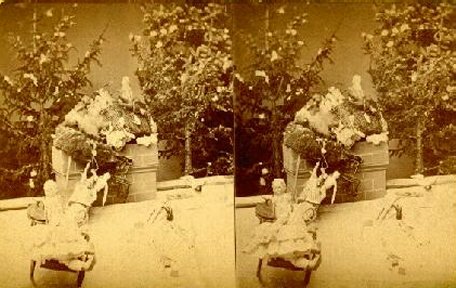 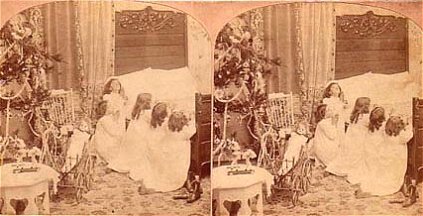 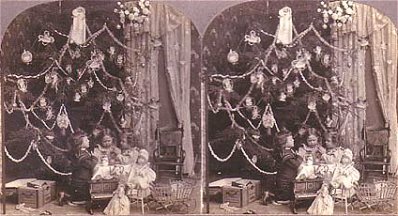 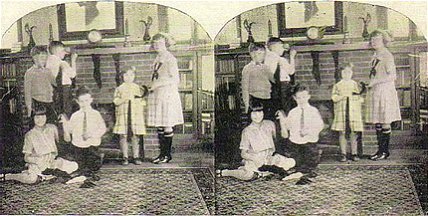 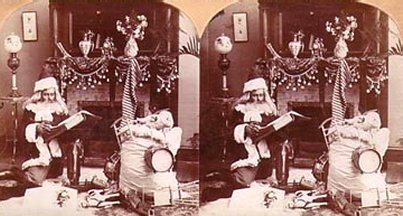 .Looking at stereographs was as common in Victorian times as watching TV is today. 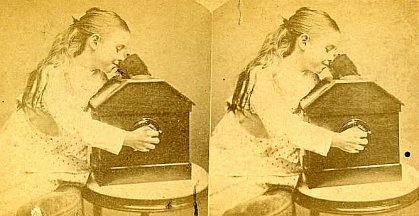 People would relax in their parlor and be transported around the country and around the world with a box full of stereos and a hand-held or tabletop viewer. 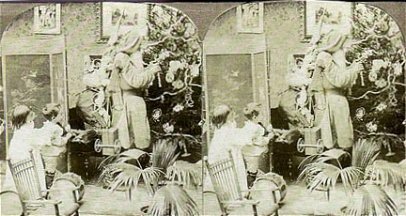 God bless father. 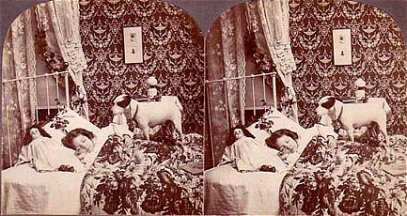 God bless mother. 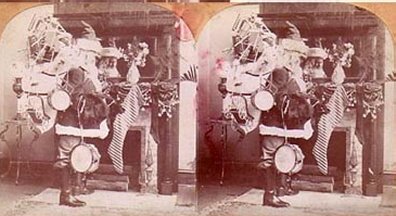 God bless Santa Claus.